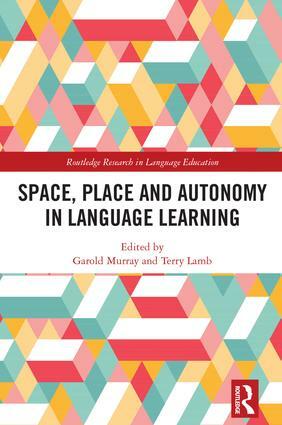 This book explores theories of space and place in relation to autonomy in language learning. Encompassing a wide range of linguistically and culturally diverse learning contexts, this edited collection brings together research papers from academics working in fourteen countries. In their studies, these researchers examine physical, virtual and metaphorical learning spaces from a wide range of theoretical and interdisciplinary perspectives (semiotic, ecological, complexity, human geography, linguistic landscapes, mediated discourse analysis, sociocultural, constructivist and social constructivist) and methodological approaches. The book traces its origins to the first-ever symposium on space, place and autonomy, which was held at the International Association of Applied Linguistics (AILA) 2014 World Congress in Brisbane. The final chapter, which presents a thematic analysis of the papers in this volume, discusses the implications for theory development, further enquiry, and pedagogical practice. Garold Murray is an associate professor in the Center for Liberal Arts and Language Education at Okayama University, Japan. Terry Lamb is a professor of languages and interdisciplinary pedagogy and head of the Westminster Centre for Teaching Innovation at the University of Westminster, London, UK. The Routledge Research in Language Education series provides a platform for established and emerging scholars to present their latest research and discuss key issues in Language Education. This series welcomes books on all areas of language teaching and learning, including but not limited to language education policy and politics, multilingualism, literacy, L1, L2 or foreign language acquisition, curriculum, classroom practice, pedagogy, teaching materials, and language teacher education and development. Books in the series are not limited to the discussion of the teaching and learning of English only.